It’s summer time in the capital city, which means that Edmontonians have broken out of their winter shells and are embracing all things summer in their wonderful glory. For Justin and I, that means gardening. 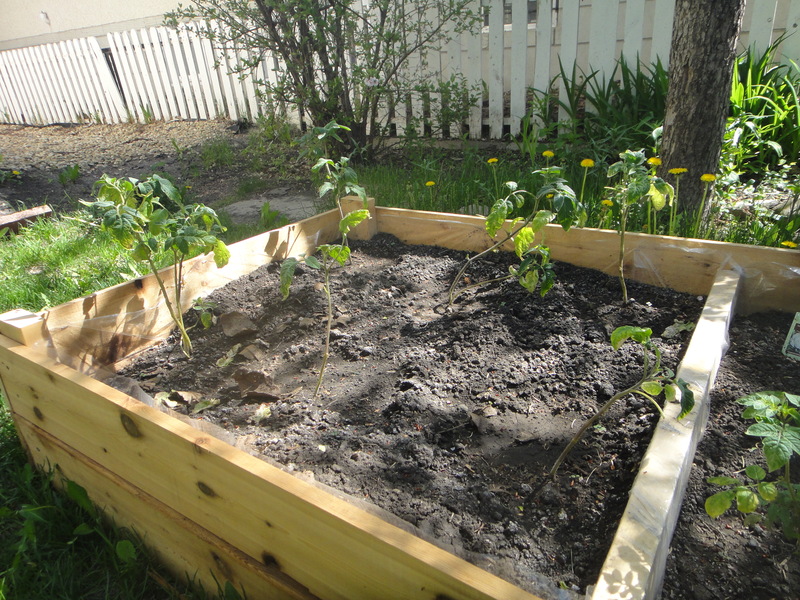 Our first summer’s garden at the Parkallen Home didn’t turn out too well – Actually, it was rather disgraceful. That is why, dear readers, I spared you the photos of sad looking plants from last summer. The problem was that the garden was just too wet. 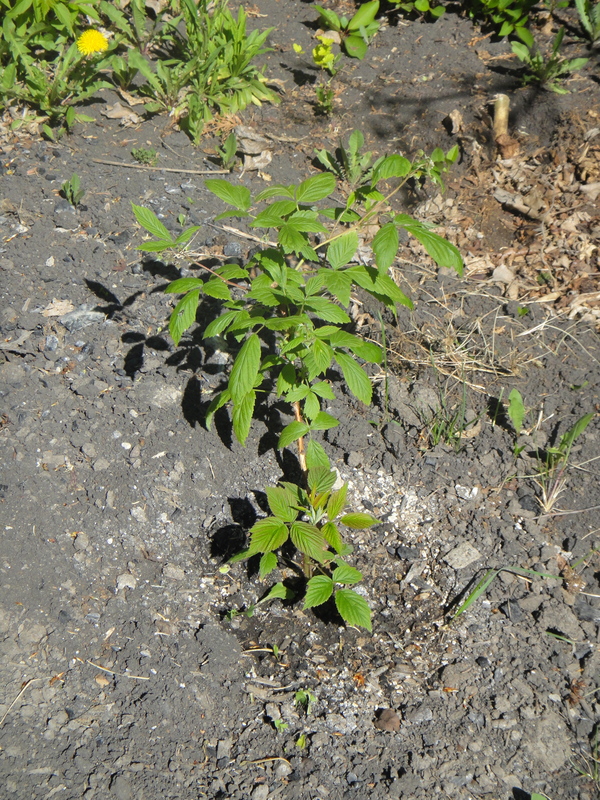 With record rainfalls, and an already super moist soil (Lake McKernan was drained back in the 40s to build the Parkallen and McKernan communities in Edmonton), our poor plants did not stand a chance. The only plants to produce were the heritage tomato plants I received as a gift last summer. 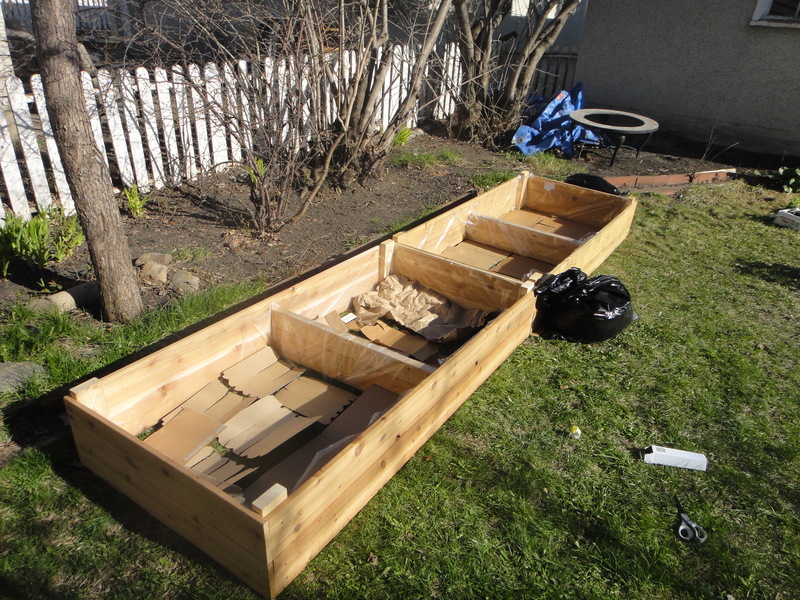 For all these reasons, we decided to embark on a garden box summer planting project. My handy dandy Justin built the boxes from scratch. 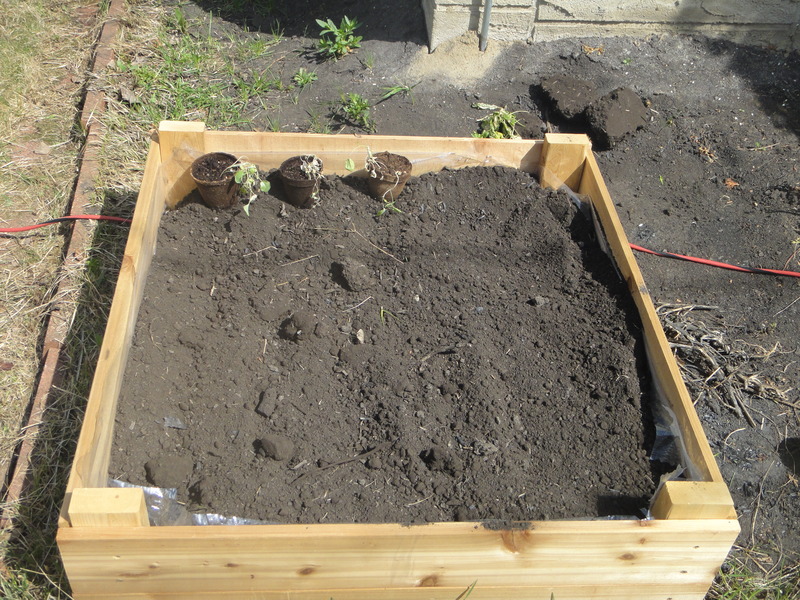 And we lined them with cardboard boxes, for drainage. 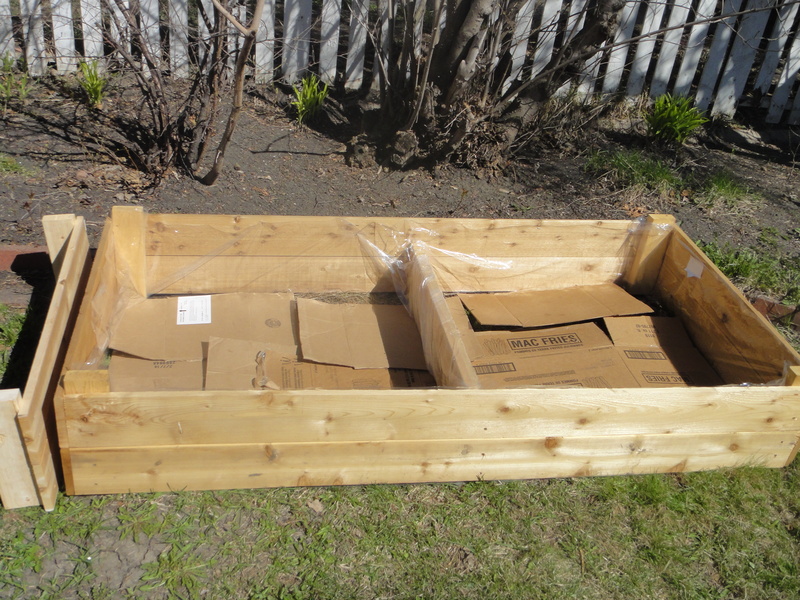 Here are our beautiful boxes, waiting to be filled with compost and topsoil. 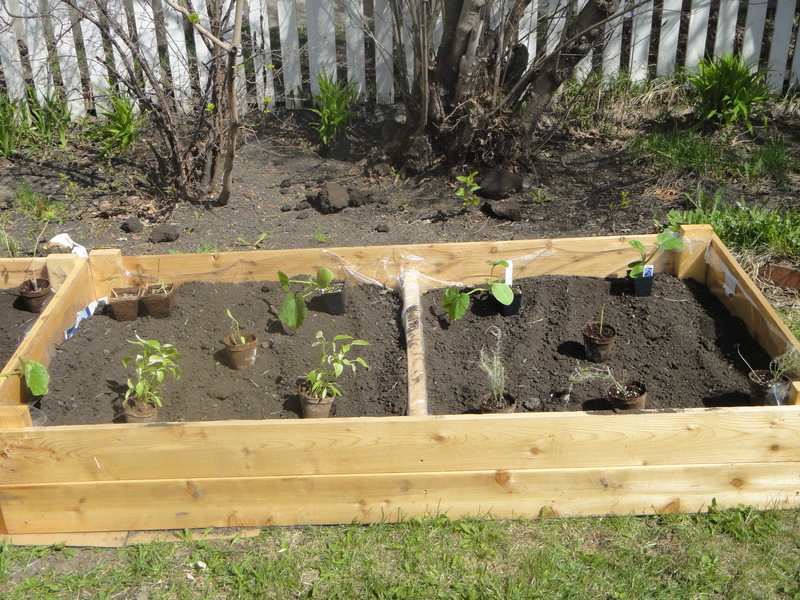 Once I hauled all the dirt and mixed in the compost, we planned out the garden. Looking pretty good, if you ask me! This one is for our seed babies. Next, we planted the seeded greens. 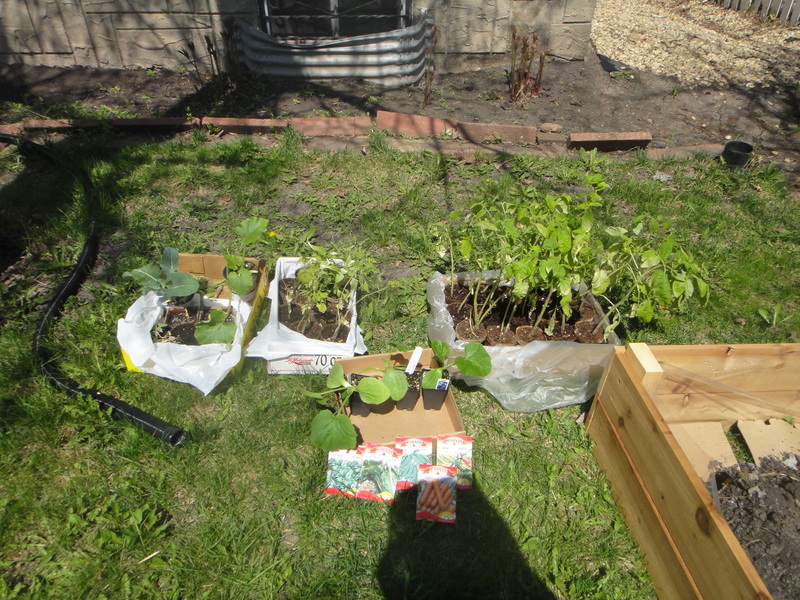 One box was devoted to the heritage tomato plants. They are already looking so tall and beautiful. I cannot wait to bite into a large, juicy tomato! 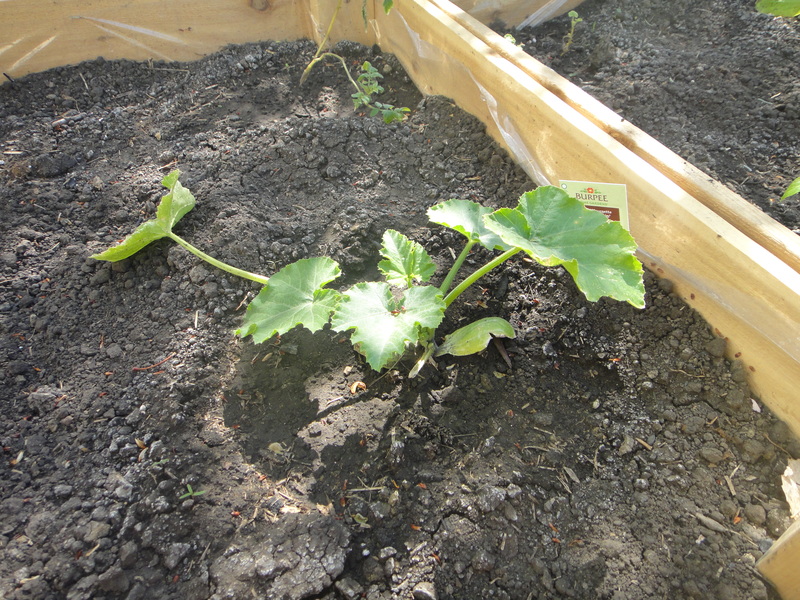 Again, we planted zucchinis. 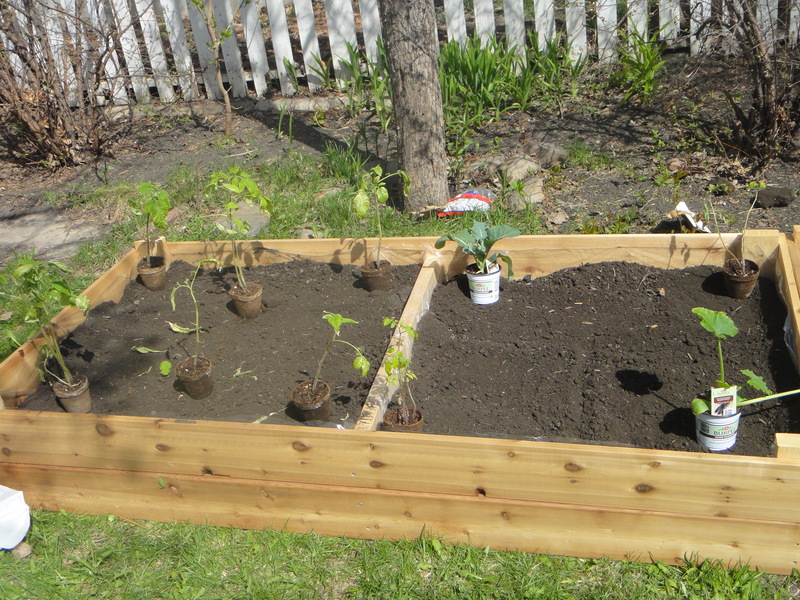 Lets hope they don’t get out of hand, like they did in the Garneau Home Garden. 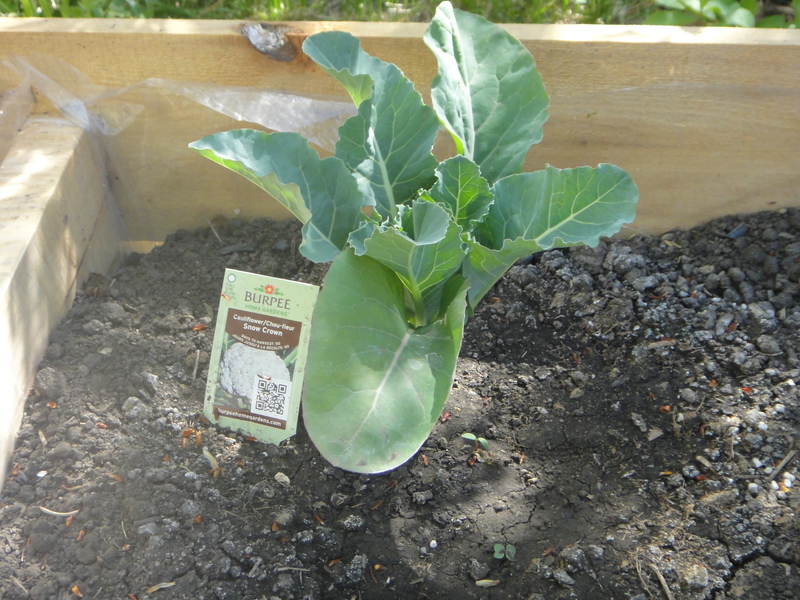 I’m going to try my hand at planting cauliflower this summer. As well as some beautiful cherry tomatoes. 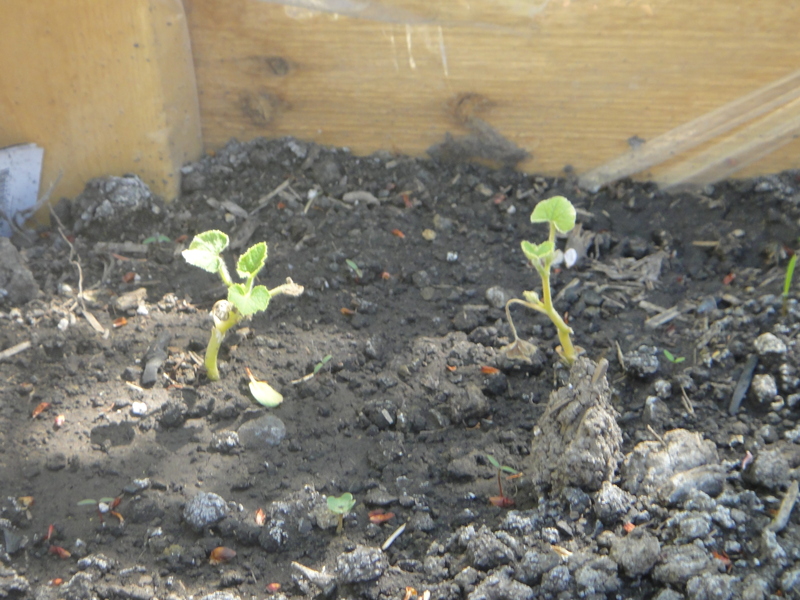 The baby Hubbards didn’t like the transplanting as much as the other plants, but they are making a comeback. Common’ Hubbard! You can do it! I’m rooting for you to live again! 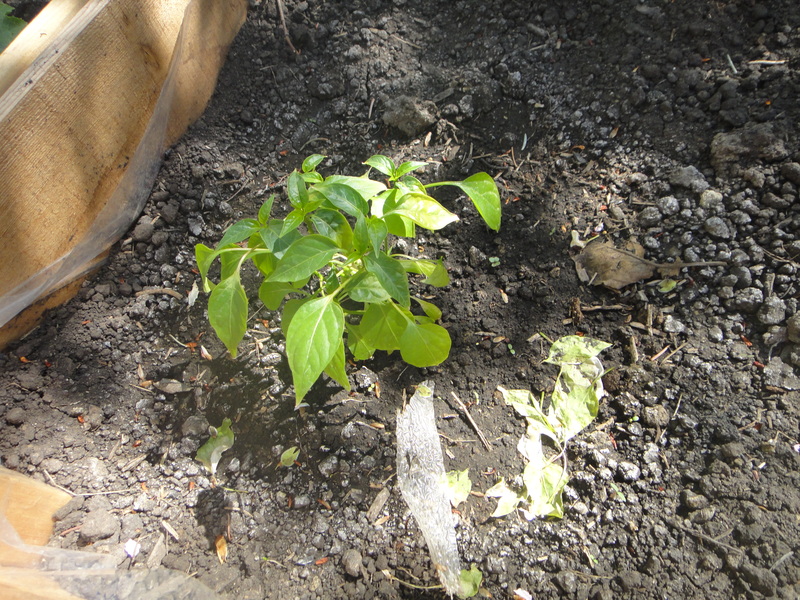 Here are the beautiful baby bell pepper plants my wonderful mother-in-law seeded for us. 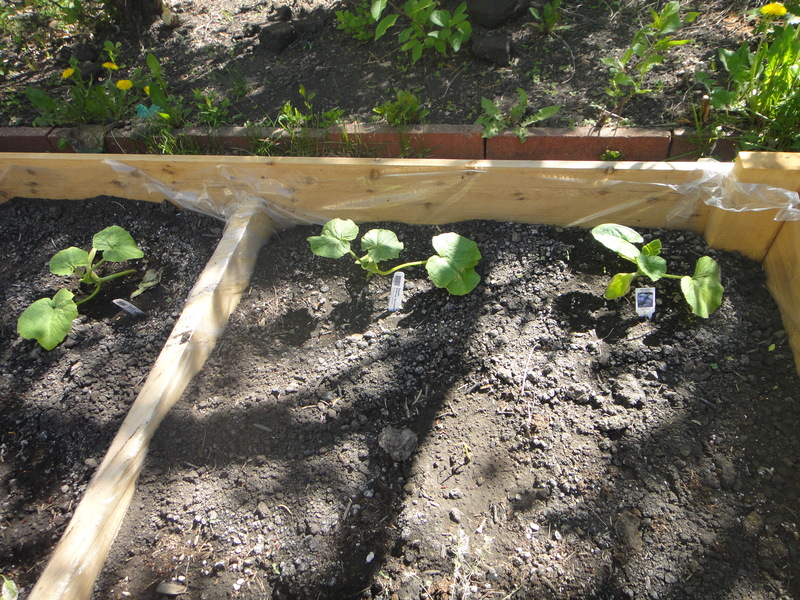 And the row of squash – Acorn and butter cup. I cannot WAIT! 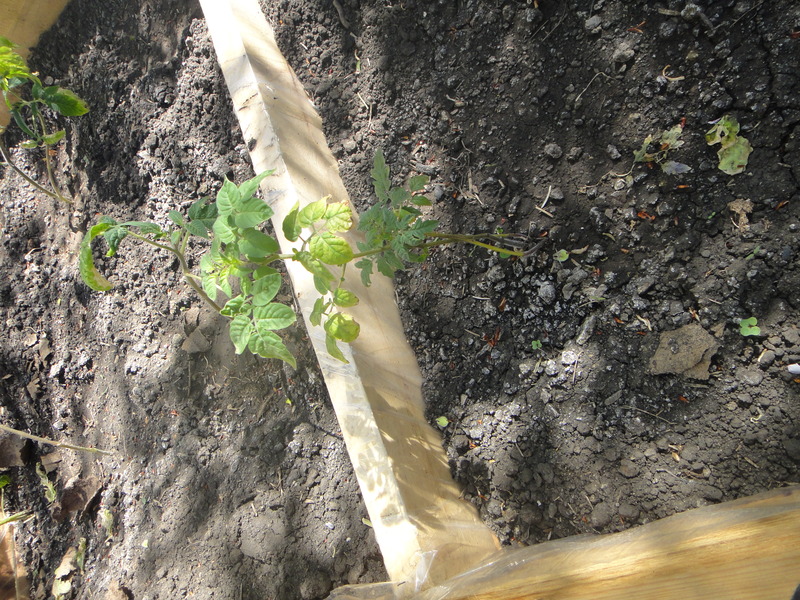 We also took the plunge and planted two raspberry bushes. I hope they produce lots and lots of beautiful ruby red berries! Now for the rows. 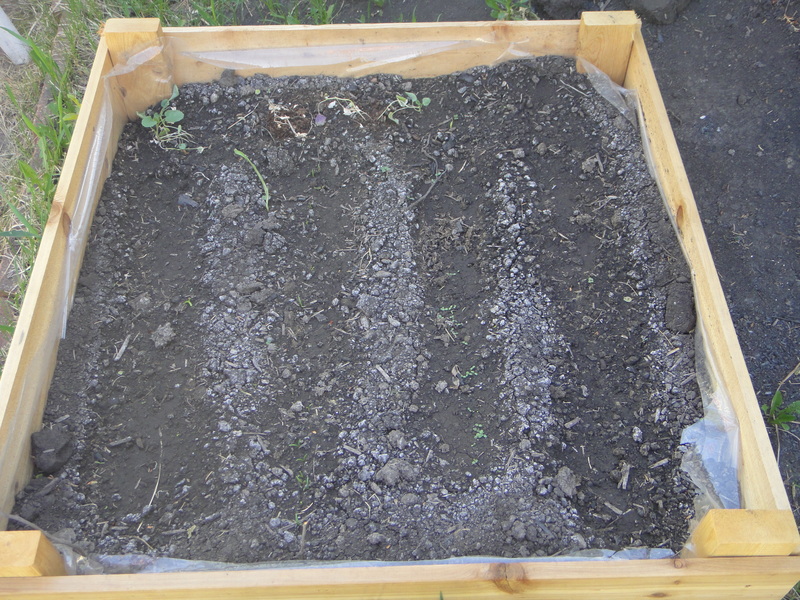 Carrots, lettuce, spinach, beans and peas. If we properly love and care for our plants, I have a feeling this is going to be a very productive season! Lemongrass and Turmeric – Can think of two ingredients that scream “Thai!” more than those two? 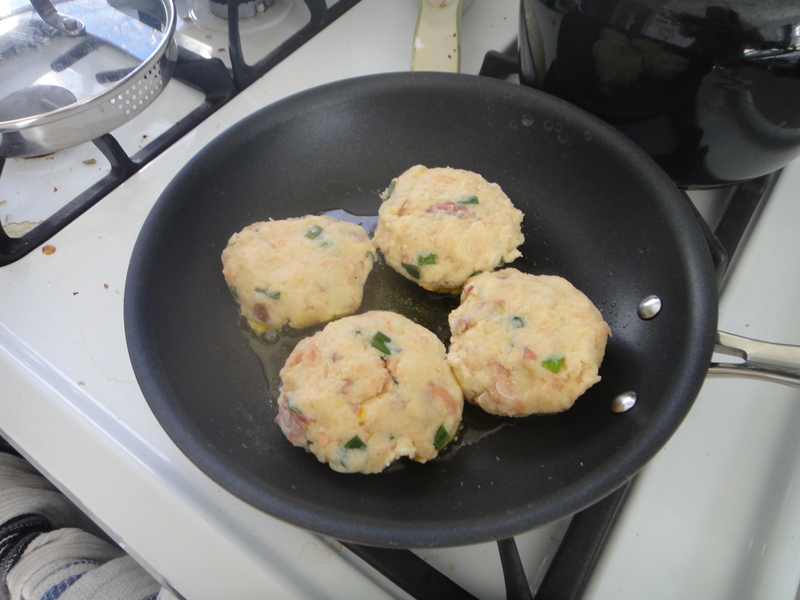 The last time I hosted dinner club, I was inspired to go for a Thai theme, so I hunted down a tasty appetizer, and found this great recipe online. 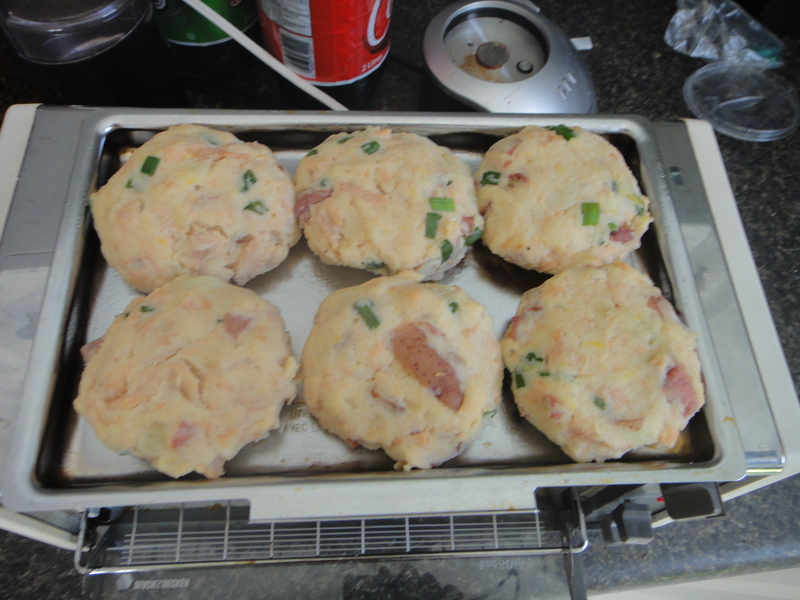 It called for a lot of ingredients, but it turned out very well. 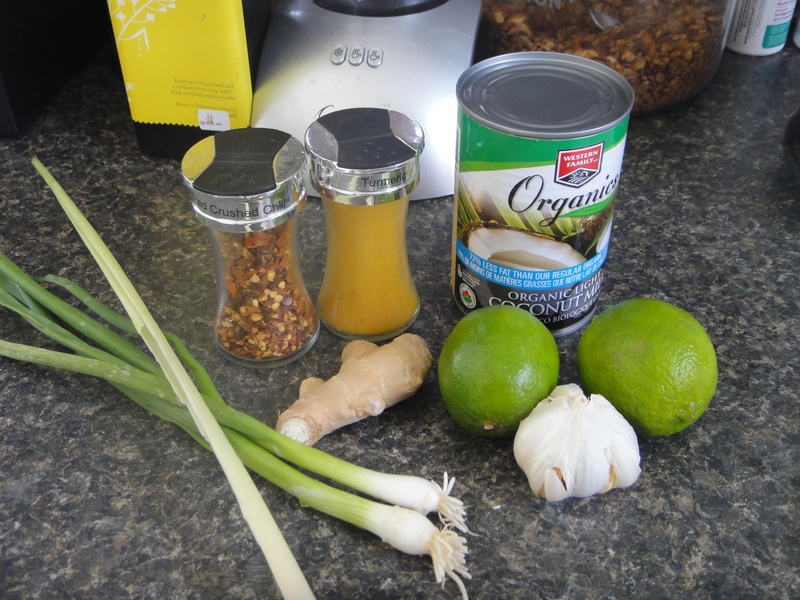 Here are the ingredients for the marinade: Coconut milk, Turmeric, Chili flakes, Lemon Grass, Green Onion, Ginger, Garlic and Lime. All fresh, fantastic smelling ingredients! 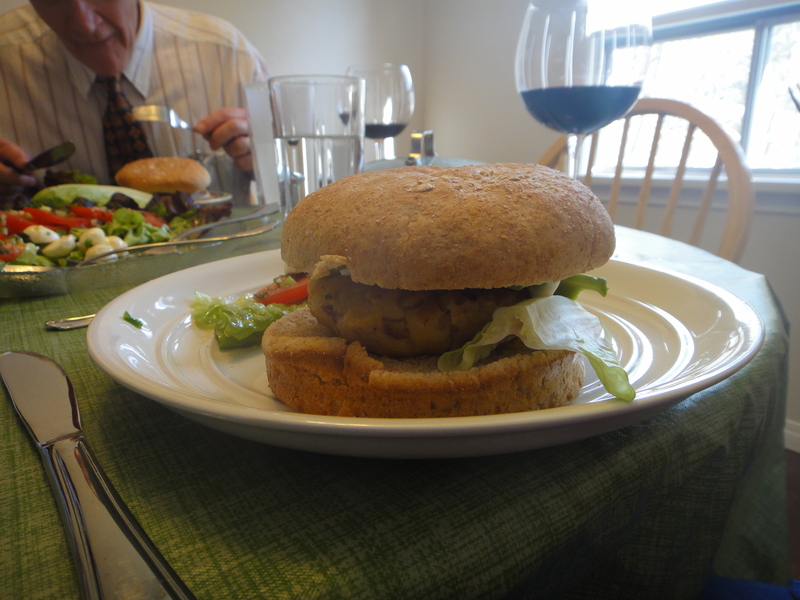 This recipe had a lot of steps, and I confess that I forgot to snap a few of them. Here are the ones I did get, however! 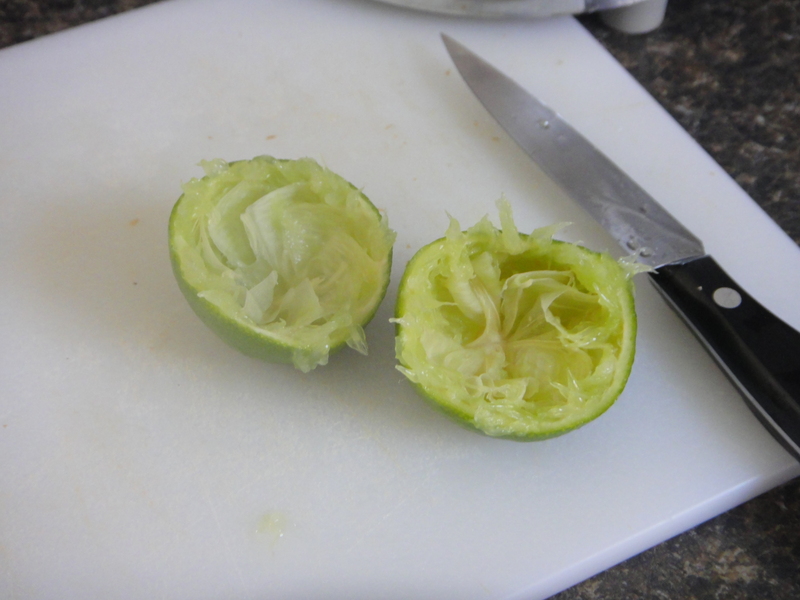 Slice the lime in half and juice it into your blender. 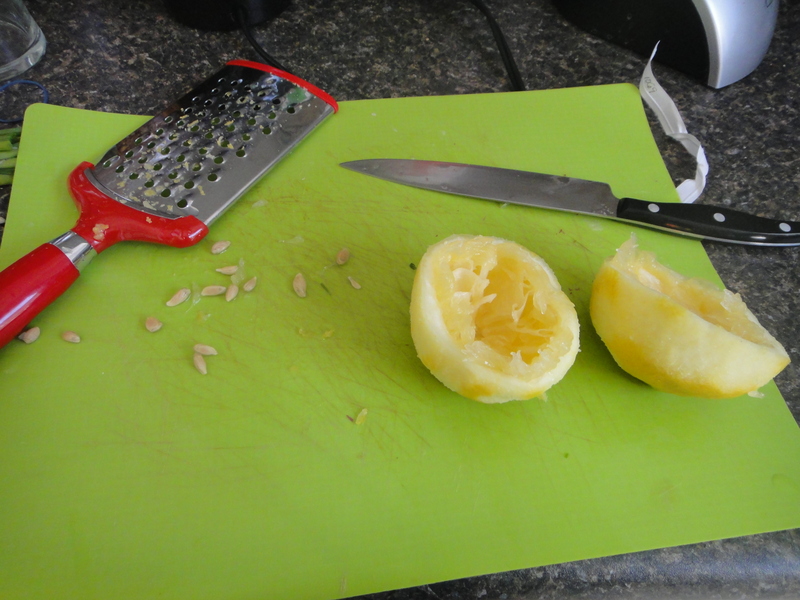 Peel the ginger and cut it into a few, easy to blend pieces. 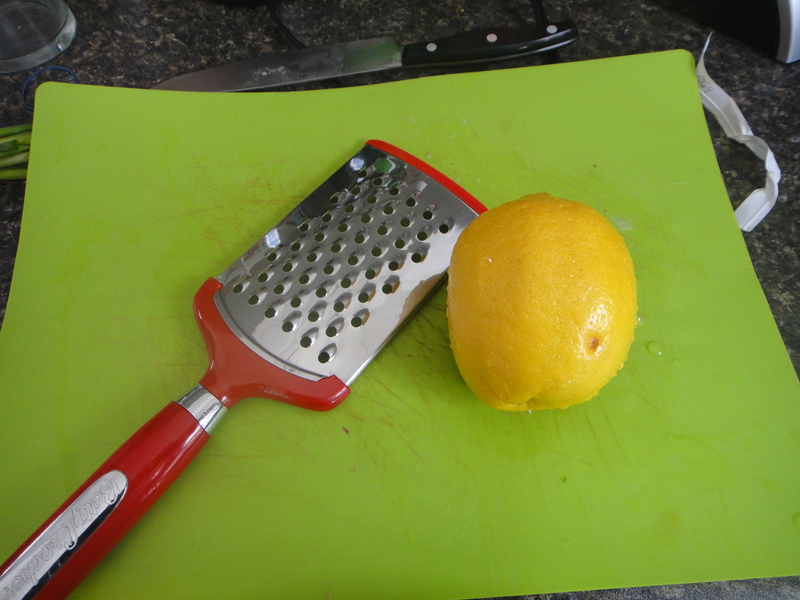 Make sure you get all of limey goodness out of the lime by scraping the flesh with a spoon. 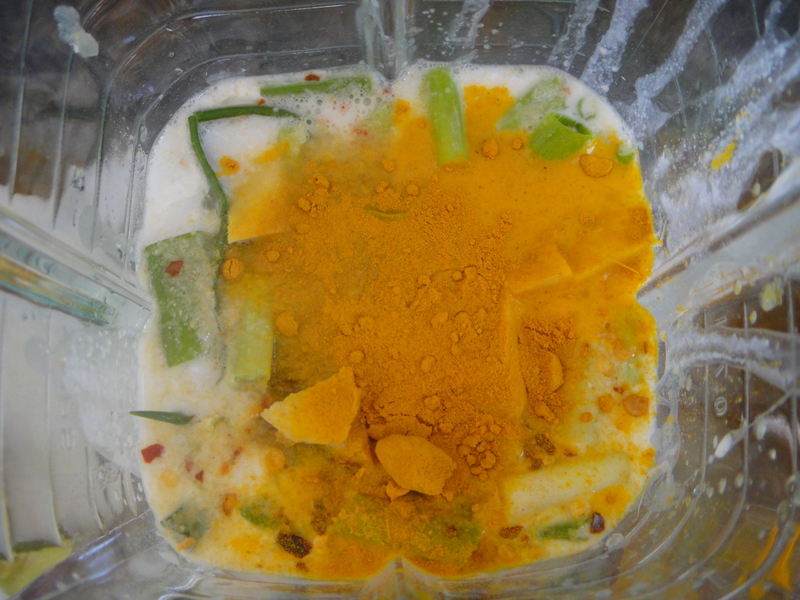 Dice up the lemongrass, green onion, and garlic, then pour in the coconut milk, red chili flakes, and turmeric. Blend it all up! When it is all blended, it will look like this, and smell sooooooo good! The recipe called for chicken wings. When I set out to make this recipe, I was convinced I had chicken wings in my freezer. 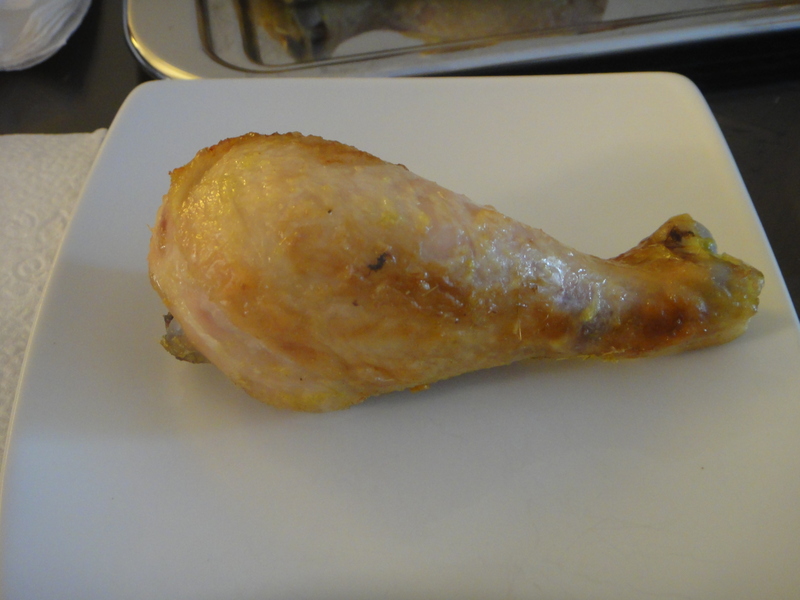 Apparently, I did not, so I opted for drumsticks instead. Pour the marinade over the chicken and let it soak in the tasty juices overnight. Make sure to flip them every once in a while so that all sides of the drumstick are marinated. 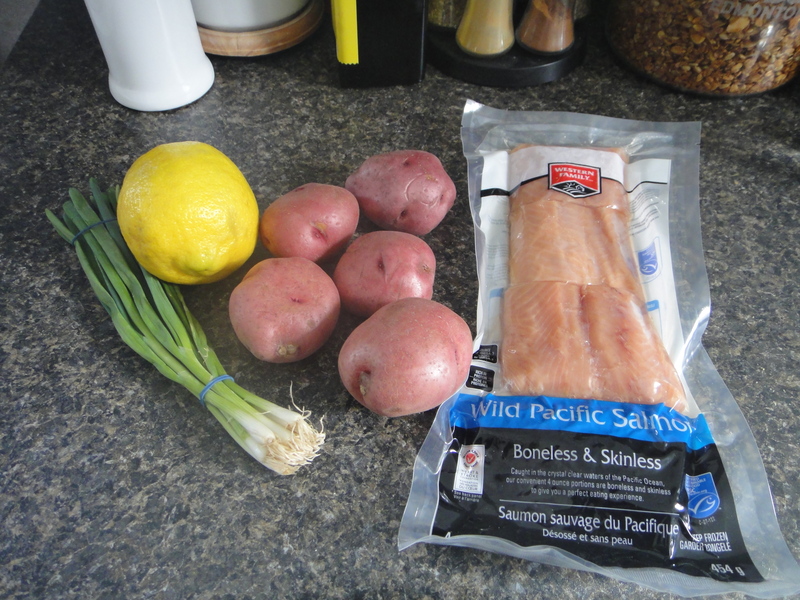 Next, transfer the marinade to a pot and bring to a boil. You’ll be using the marinade to baste the drumsticks. 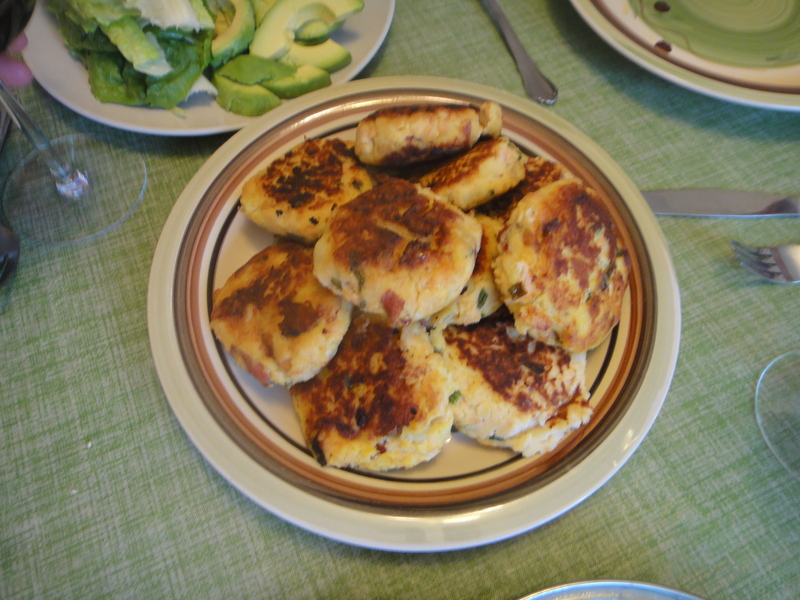 They made a great appetizer for an awesome dinner party. 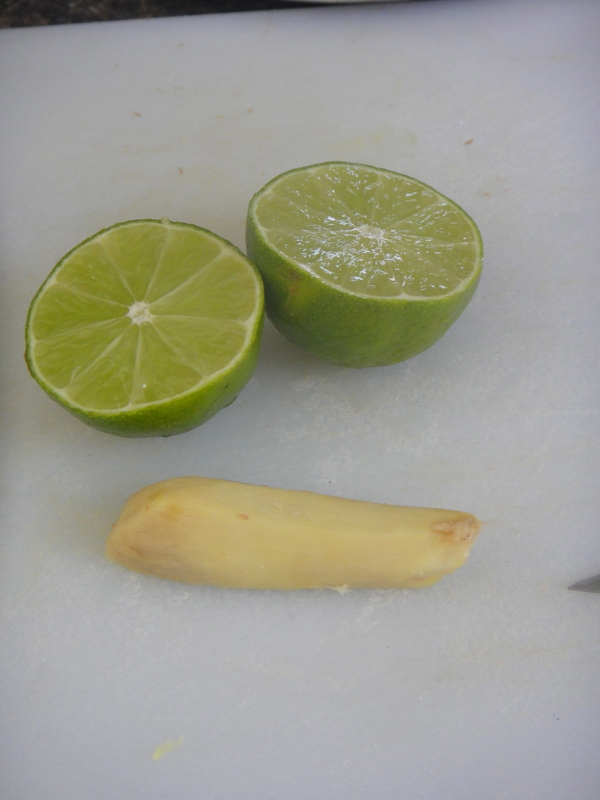 The juice and pulp from one fresh lime. Combine coconut milk, green onions, garlic, lemongrass, chili flakes, ginger, lime juice, fish sauce, turmeric, and 1 cup water in a blender. Purée mixture until a smooth marinade forms. 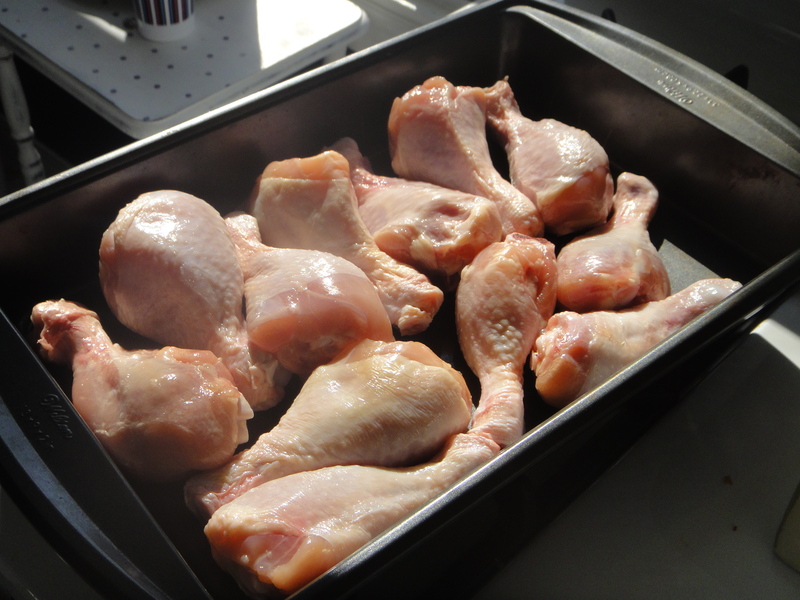 Place drumsticks in a large baking dish. 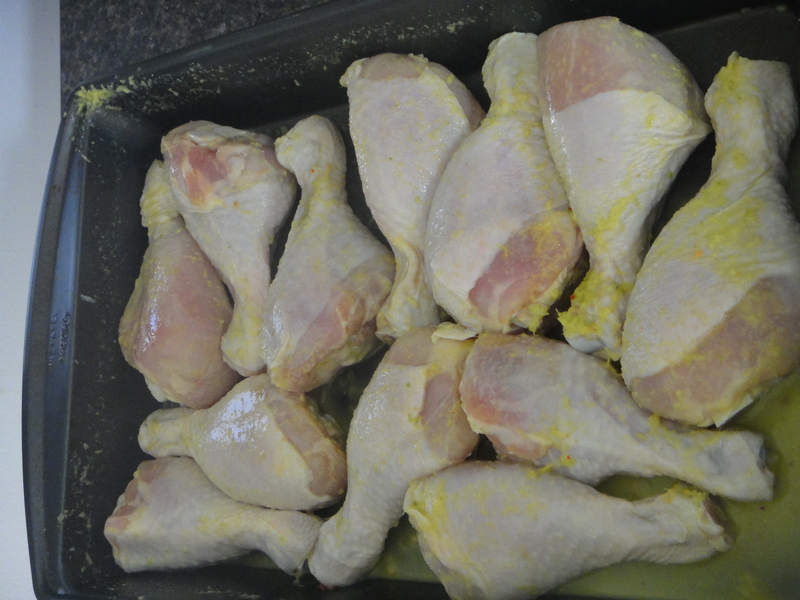 Pour marinade over; turn drumsticks to coat evenly. Cover chicken and refrigerate overnight. Preheat oven to 375. 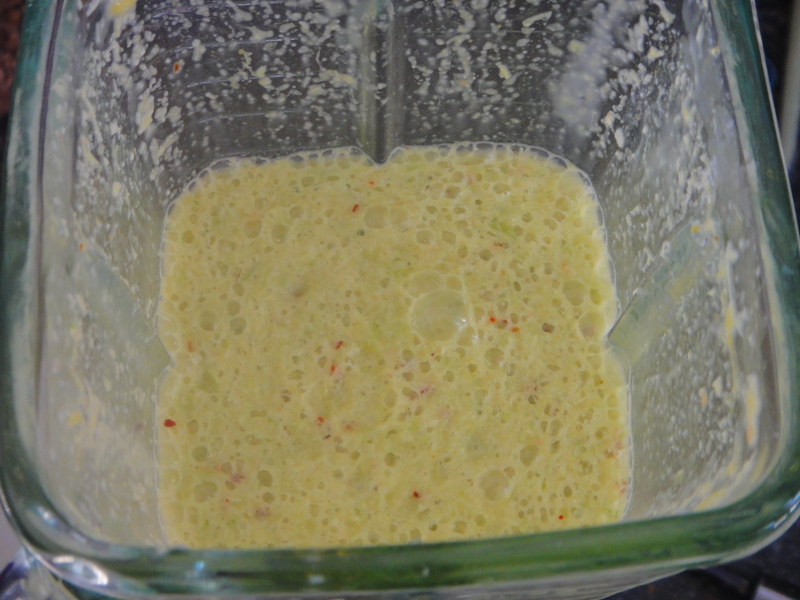 Remove chicken from marinade, shaking any excess marinade back into dish. 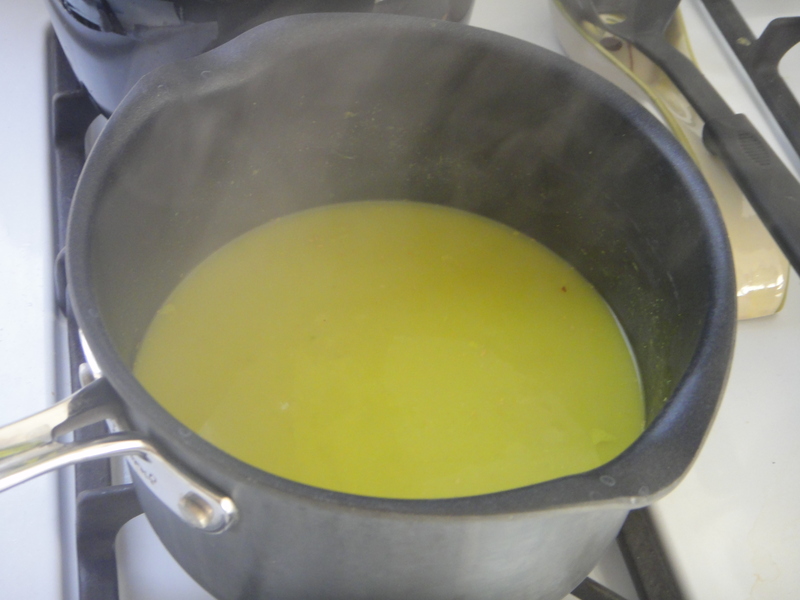 Transfer marinade to a large saucepan and bring to a boil over medium heat. 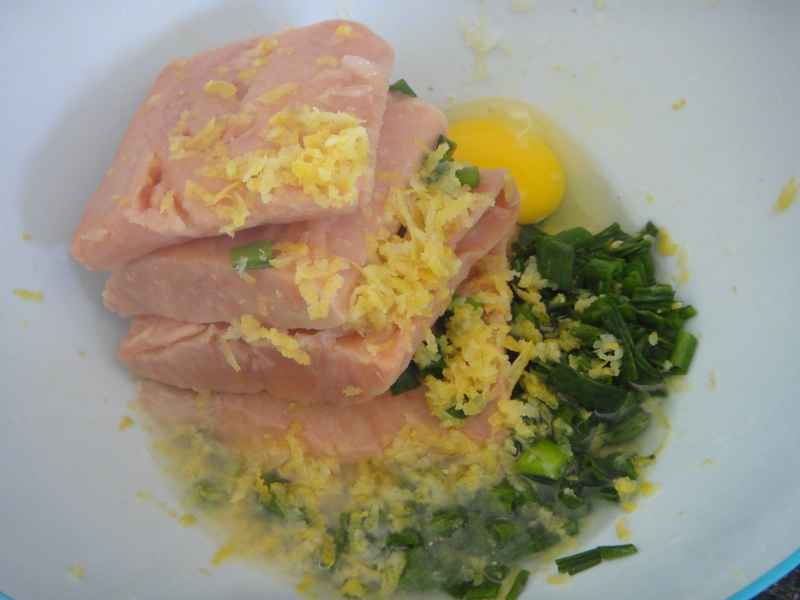 Reduce heat to medium-low and simmer, stirring occasionally, until marinade thickens, 10-15 minutes. 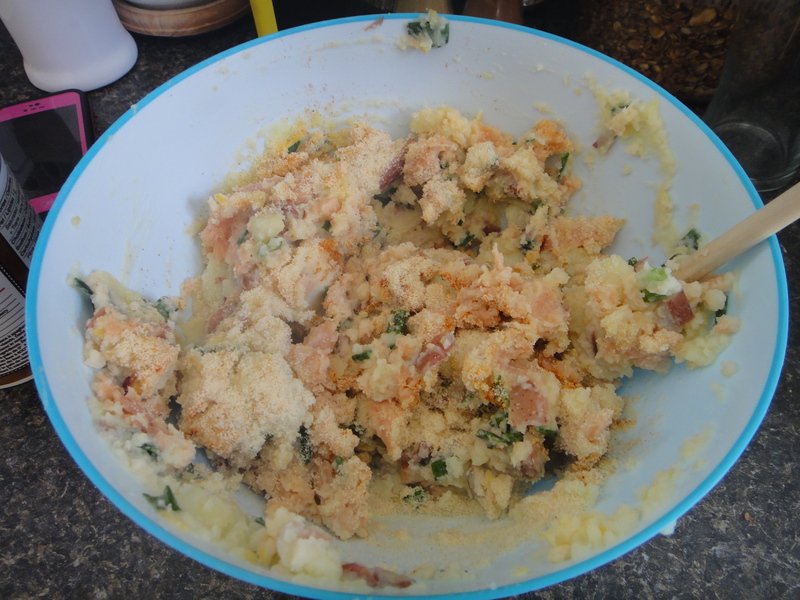 Pour half of marinade into a small bowl; set aside for basting chicken while it cooks. 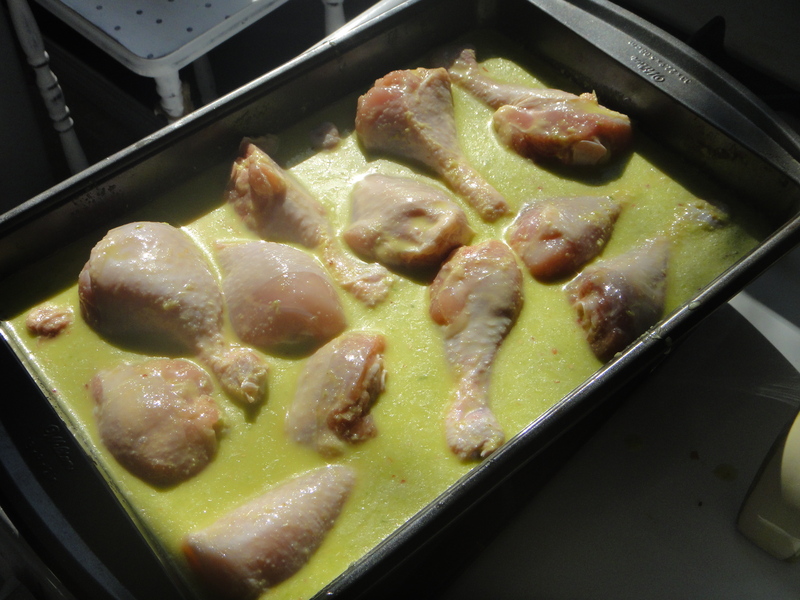 Keep remaining marinade in saucepan; cover and keep warm until ready to serve the chicken. 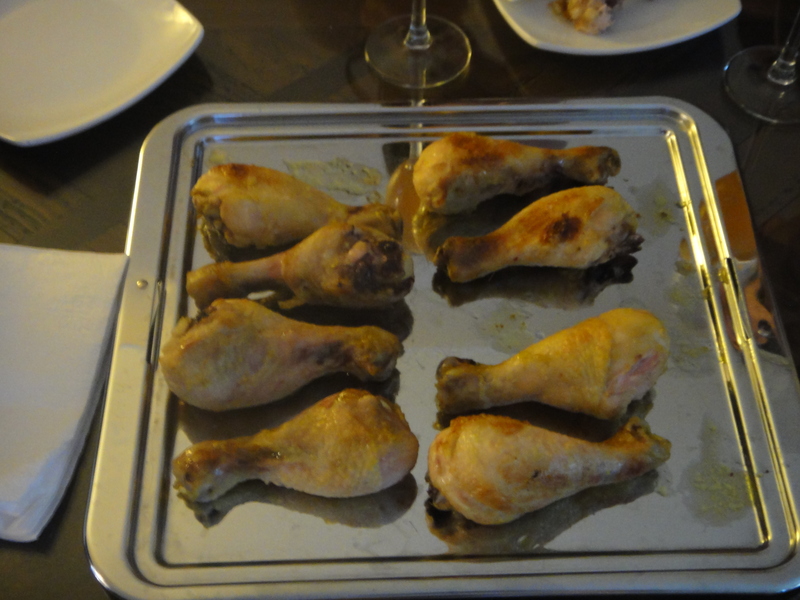 Bake drumsticks for 20-30 mins, turning often so that all sides get cooked evenly. Baste with marinade while cooking. Transfer chicken to a large platter and let it rest for 5 minutes. Squeeze lime wedges over wings. 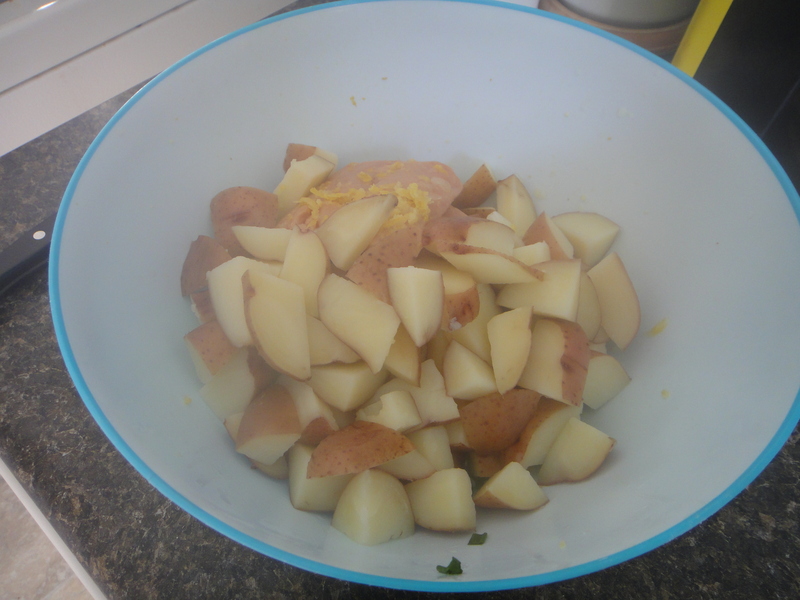 Transfer marinade in saucepan to a small bowl. Serve warm marinade alongside chicken as a dipping sauce.